This document provides recommendations for the incorporation of ecosystem service valuations into Agency cost-benefit analysis (CBA) across sectors, both for USAID staff that produce or use CBAs and for USAID as an institution. 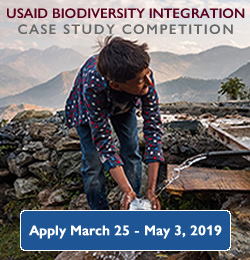 In addition, this document provides specific guidance for USAID sectors that are commonly integrated with biodiversity—including global climate change, food security, energy and infrastructure, and water, sanitation and hygiene—but the process and principles described here are relevant for CBAs in any sectors. These recommendations represent a joint effort of the USAID Offices of Forestry and Biodiversity and Economic Policy in the Bureau for Economic Growth, Education and Environment.